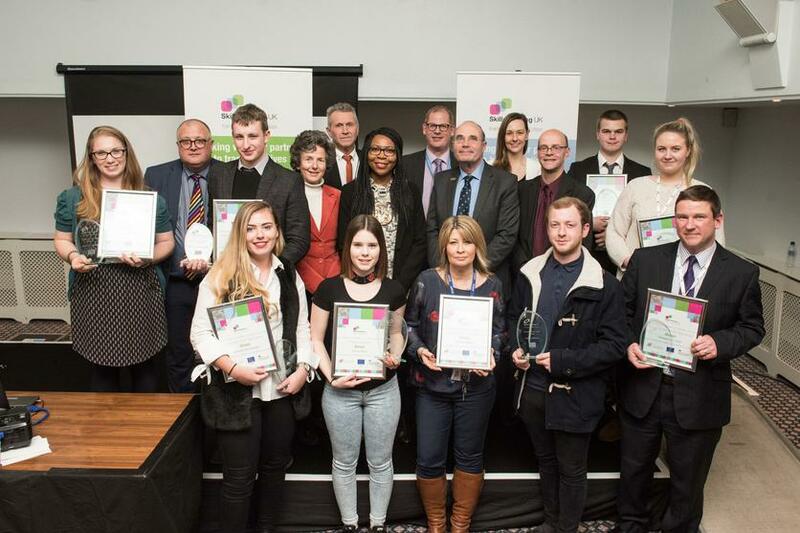 On Tuesday, 20th March inspirational young people, across Kent were joined by local training organisations and employers for a special awards ceremony, organised by Skills Training UK, an independent training provider. Awards were presented to young people aged 15 to 24 in 10 different categories, including ‘Learner Achievement’, ‘Learner Progression’ and ‘Apprentice of the Year’. Each learner was nominated for an award by their training provider, in recognition and celebration of the progress and achievements they have made. 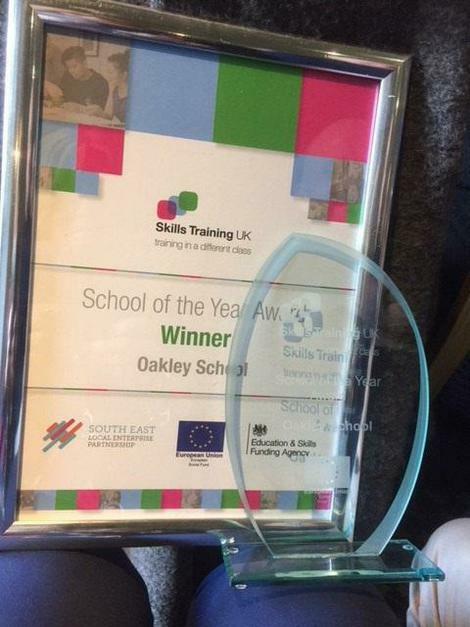 The local training and education partners were also recognised, with the prestigious award for ‘School of the Year’ going to Oakley School. 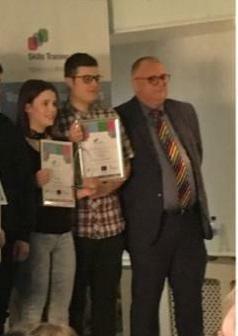 The awards were presented by Medway Council’s Deputy Mayor, Councillor Gloria Opara; Paul Winter, Chair of the Kent and Medway Skills Commission; Allan Baillie, Skills and Employability Manager, Kent County Council; and Mike Rayner, Participation and Progression Manager, Kent County Council. 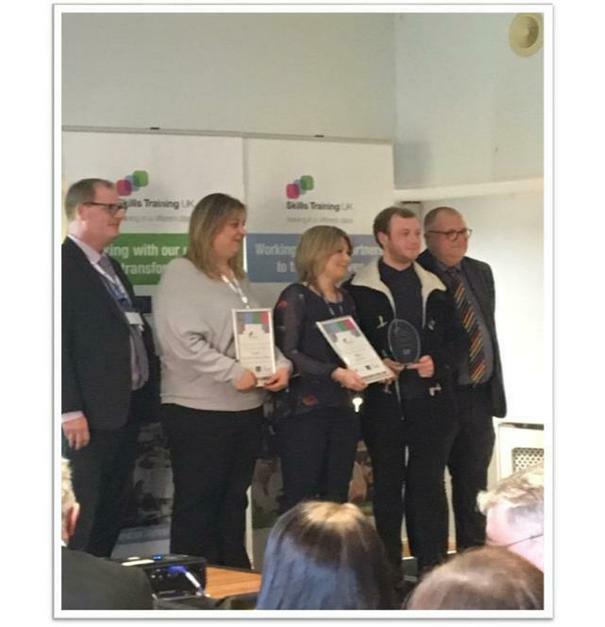 Ros Leach, Further Education Leader and Josh Epstein, Learning Support Assistant collected the award on behalf of the School.